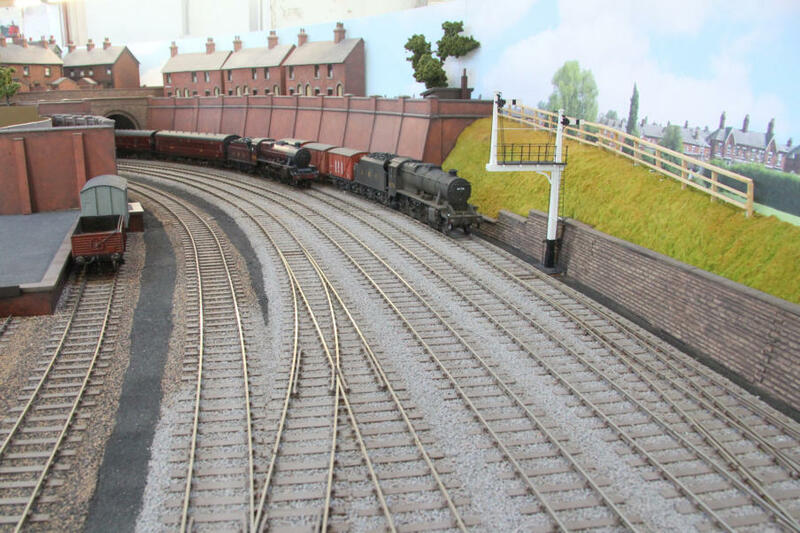 Our club layout known as Abbeydale Junction is a continuous circuit layout size 35’x15’. It has a set of non- scenic train storage loops at the back and a scenic front side representing a double junction and a small town goods yard. 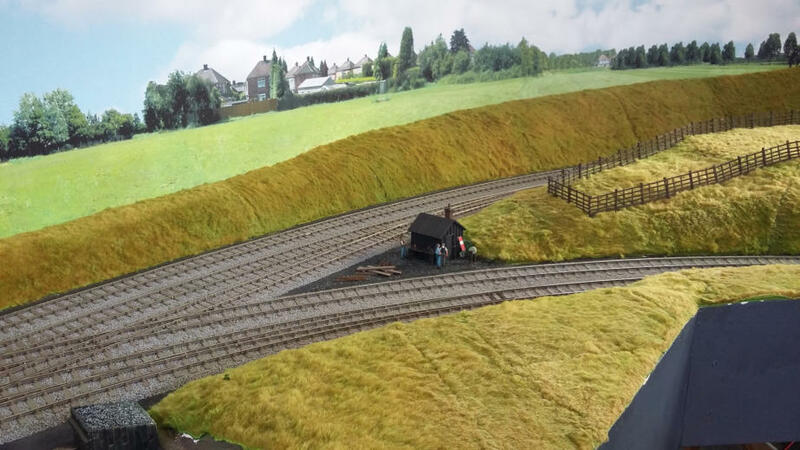 One end of the layout is in the country with the other end the outskirts of a small town. 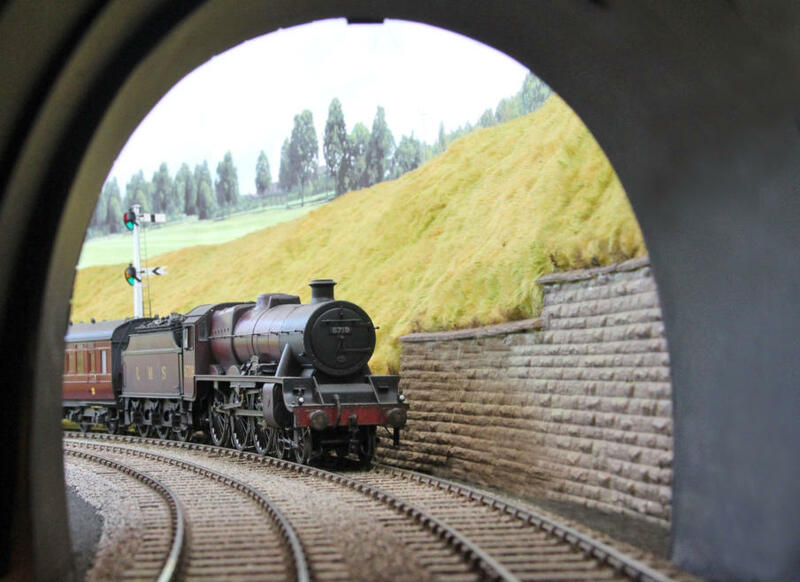 It does not feature a station this being imagined beyond the town end tunnels at the other end of the layout. 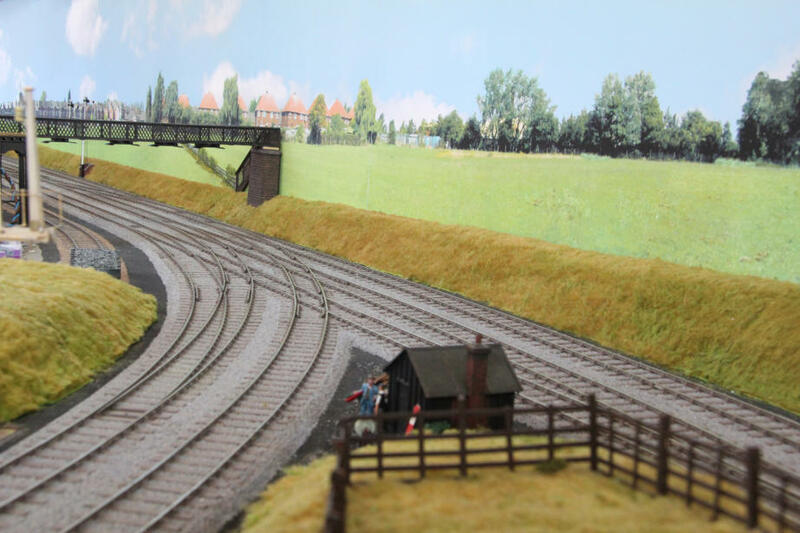 The layout has been under construction for nearly 10 years and has now reached an advanced stage of development with all track and most of the scenery in place. 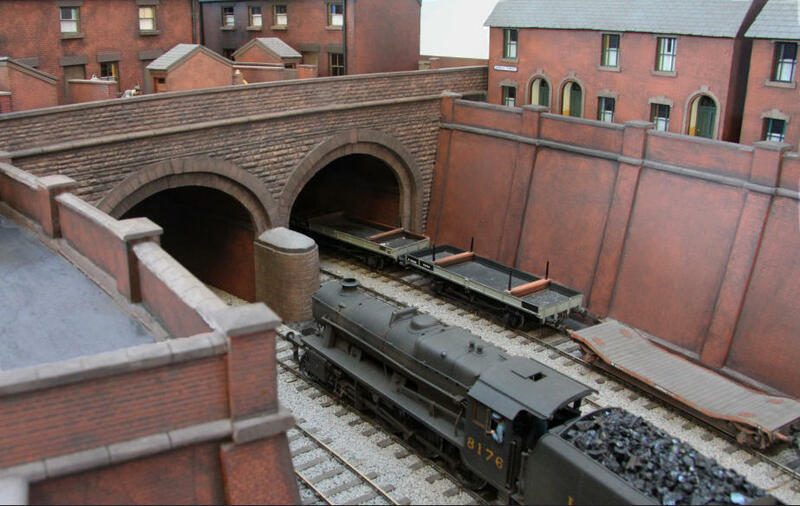 Buildings and signals are well advanced and further detail is being added. Control panels have been built and wiring is under way. We have recently decided to remove some of the early wiring and replace this with more modern systems of DC/DCC control for the trains and CBUS for the points and signals. 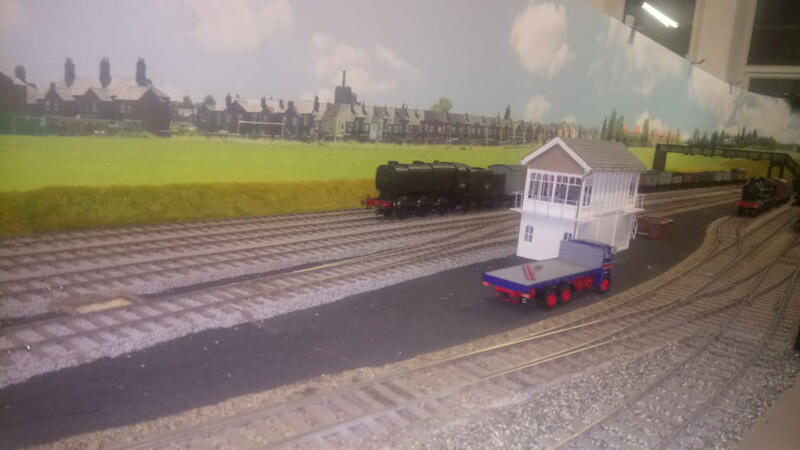 The layout has four controllers and has been designed to have a wide range of operating possibilities from just running trains round and round to full timetable operation.